Add some color in your landscape. Colorado Blue Spruce grows well in the Hudson Valley so give this spruce tree a little room on your property. You can also use Colorado Blue Spruce for privacy screening along your property line. 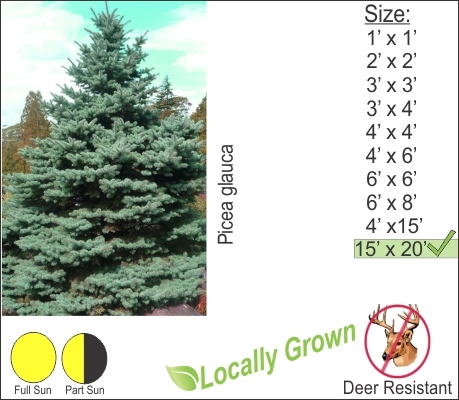 Colorado Spruce is moderately deer resistant and in hard winters with high deer populations, they may resort to grazing on the lower branches of this tree. You can wrap the Spruce with netting in winter to help protect it.